USPOULTRY and the USPOULTRY Foundation announce the completion of a funded research project at the University of Delaware in Newark, Del., in which researchers report a potential cause of wooden breast lesion in broilers. 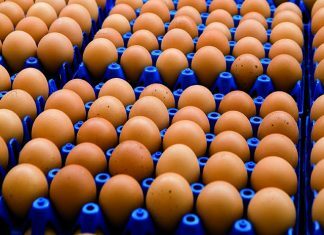 The research project is part of the Association’s comprehensive research program encompassing all phases of poultry and egg production and processing. A brief summary of the completed project is as follows. 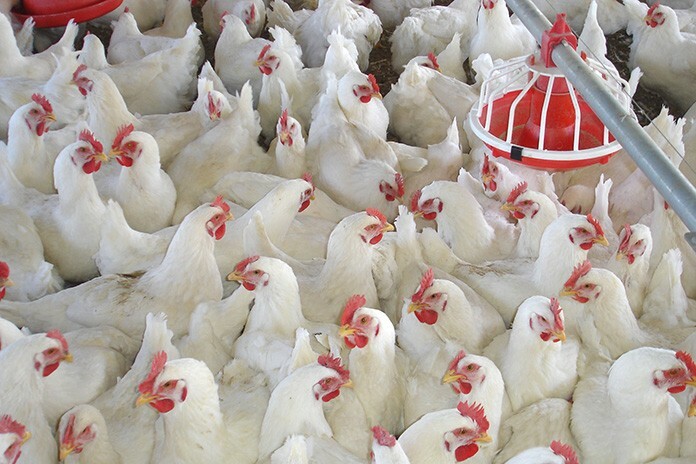 Dr. Benham Abasht and colleagues at the University of Delaware recently completed a research project in which they sought to characterize the early stages of a condition known as wooden breast in broilers. 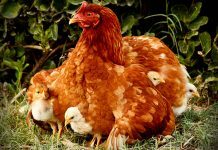 They found that the early lesions of the condition could be found in the breast tissue of one week old broilers, and the first stage of the condition involves inflammation of the veins in the breast tissue and accumulation of lipid around the affected veins. This is then followed over time by muscle cell death and replacement by fibrous and fatty tissue. Genetic analyses also indicated that there was dysfunction in lipid metabolism in affected birds. This new understanding that inflammation of veins is the likely cause of wooden breast lesions in broilers will provide important direction for future research on this condition. The modern broiler chicken has been affected by a novel condition referred to as Wooden Breast Disease (WBD) in the recent past. The disorder, which largely targets the breast muscles of fast-growing and high-yielding birds, is characterized by extreme stiffening of the pectoralis major muscles causing reduction in meat quality. 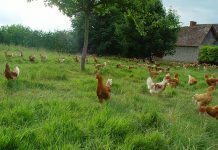 With the prevalence rate up to 10% in some flocks, the disease is causing considerable losses in the poultry industry globally. While initial investigations of the disease focused more on chickens at market age (6 to 8 weeks old), studies directed towards the onset and early pathogenesis of the disease in broiler chickens are relatively fewer. In addition, the etiology of WBD has remained unknown. Therefore, the present study’s main objective was to identify and characterize the onset, early course, and prevalence of subclinical disease for this novel muscle disorder through genetic and histologic analyses. 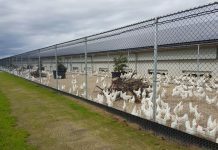 The experimental broilers used in this study were raised from day old to 49 days of age. Analysis revealed heavier birds from one week of age to the end of the experiment were more predisposed to the development of the disease compared to average size birds. Additionally, histologic investigations revealed an early onset of WBD, which started as localized vasculitis (inflammation of vessels) of veins in the breast muscle tissue by one week of age. Affected veins were surrounded by lipid and lipid laden inflammatory cells. By two weeks of age muscle degeneration was apparent, followed by muscle cell death and muscle tissue inflammation in week three. Beginning in week four and for the duration of the experiment, the affected muscle tissue went through a process of fibrosis, which resulted in the hardened muscle tissue seen in WBD. In addition, genetic analysis revealed evidence of dysfunction in lipid metabolism and impaired metabolic pathways involved with cellular energy production. Based on these results, our study therefore shows that the development of WBD is largely the result of damaged veins, characterized by inflammation of the veins and lipid deposition around the veins. This disruption of venous drainage and regional impairments of lipid metabolism precede the changes in the muscle tissue. Until now, it remains unclear whether phlebitis (inflammation of the veins) is a cause or sequela of the perivascular lipid accumulation and the inflammatory response.